The word “grace” appears over 100 times in the New Testament. 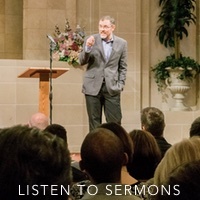 One could easily say that grace is one of the most dominant themes of the New Testament. The apostle John began his gospel account by saying, “The law was given through Moses; grace and truth came through Jesus Christ” (John 1:17). Therefore, it is only right for Christ’s church to be known as a people of grace. Or, in other words, the church of Christ should be the church of grace. Grace could be defined as “God showering blessings on us, when we deserve for wrath to be showered upon us.” That’s what the gospel of Jesus Christ is all about. Because God is so immeasurably gracious, He sent His Son to the earth to die for wretched man. Now, anyone who is in Christ, is showered with all the spiritual blessings of heaven (Ephesians 1:3). We don’t deserve to be called “sinless,” but we are sinless, because we are completely forgiven in Him. We don’t deserve to be called “holy,” but we are holy, because we are completely sanctified in Him. We don’t deserve to approach His throne in prayer, but we can come into the presence of God with confidence, because we are completely reconciled in Him. Some of us are afraid of grace, because we know people abuse the concept. In our fear of grace, we often talk more about what grace is not than about what grace is. That is shameful. We should not be afraid to say exactly what Scripture says, “By grace you have been saved through faith” (Ephesians 2:8). Or that we are “justified by his grace as a gift, through the redemption that is in Christ Jesus” (Romans 3:24). None of that should make us uncomfortable in the least. I suppose we are afraid that if we talk too much about grace, people might forget about obedience. That should not be, for grace is what teaches us to be obedient (see Titus 2:11-14)! We must stop letting people steal our spiritual vocabulary. The fact that some “pervert the grace of our God into a license for immorality” (Jude 4), should not stop us from being the church of grace. God has extended grace to us through Jesus Christ and He commands us to extend grace to others. In other words, God showers blessings on those who deserve His wrath, therefore we shower kindness on those who have mistreated us. Everything the church does and says should exude mercy and grace. We don’t treat people the way they deserve to be treated, we treat people with grace. Our speech should “always be gracious” (Colossians 4:6). We should feed our enemies (Romans 12:20). When slapped, we should turn the other cheek (Matthew 5:39). When people insult us, we don’t insult them back; instead, we sincerely wish them well (Romans 12:14). That’s what the church should look like. The church should be world famous for her grace. 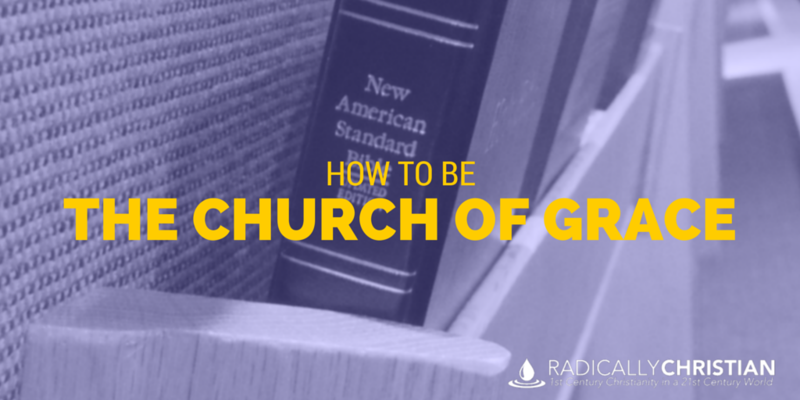 Are You Helping the Church to be, The Church of Grace? The only person you have control over is you. You can’t make other Christians be gracious. The only thing you can do is preach grace and exude grace yourself. So, let’s all do our part to make sure the church of Christ remains the church of grace.